FIFA election; Clinton plans first campaign event, as does O'Malley; Anheuser-Busch lends a hand to flood victims; Hastert steps down from lobbying post. 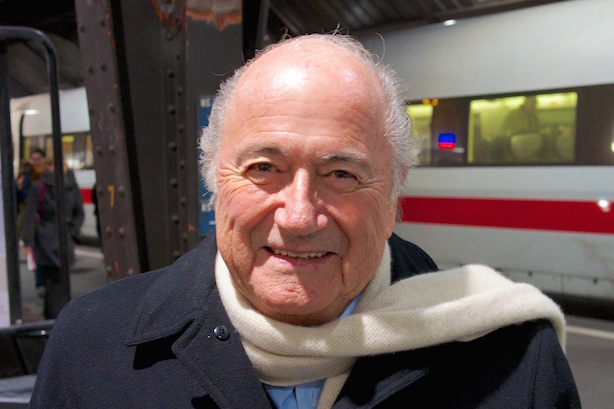 Sepp Blatter: Likely to win another term as FIFA president. 1. FIFA’s presidential election is taking place Friday morning after a tumultuous week for the organization that saw eight current and former officials arrested on corruption charges. Embattled President Sepp Blatter is expected to hold on to his job, despite losing the support of many countries. The US will vote for his rival, Prince Ali bin al-Hussein of Jordan. Sponsor brands are in a pickle during the crisis, but experts told PRWeek they should keep the pressure on FIFA to clean house while considering their next move. 2. Hillary Clinton will hold her first major event since launching her campaign for president next month. While the location of the rally has not been announced, former President Bill Clinton and her daughter, Chelsea, will have co-starring roles, according to Politico. Former Maryland Governor Martin O’Malley is scheduled to announce his bid for the Democratic nomination on Saturday. 3. Anheuser-Busch has stopped production at a Georgia brewery to provide water to people affected by flooding in Texas and Oklahoma. It is planning to produce 50,000 cans of water that will be delivered via the Red Cross. 4. Former Speaker of the House Dennis Hastert was charged with lying to the FBI and withdrawing cash for $3.5 million in payments to hide "misconduct" from years earlier, according to The New York Times. He has stepped down from his role as a lobbyist for Dickstein Shapiro. 5. Articles accessed on mobile devices through Facebook’s Instant Articles are indeed loading more quickly than those on publishers’ own websites, living up to one of the service’s selling points, according to Web-performance monitoring firm Catchpoint Systems. 6. Bob Schieffer will retire after hosting his last edition of Face the Nation this weekend. The 46-year CBS News veteran has led the Sunday morning talk show for 24 years, written a best-selling book, and moderated numerous presidential debates.